I have to say I have never been in a dental practice like this in my life. The staff, facilities, coffee, chats are just fantastic. 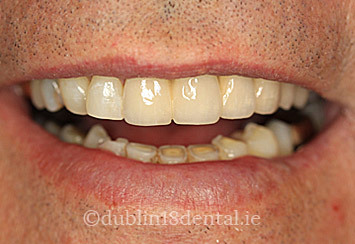 If you are missing a tooth or several teeth one of the most successful and simple ways to have a fixed non removable replacement is to have a dental bridge fitted. A bridge is basically two or more crowns that are linked together and are anchored on anchor teeth or can be anchored on dental implant roots. Bridges can be made from a porcelain material bonded to a metal base or they can have a non-metal structure by using the cerec porcelain system. 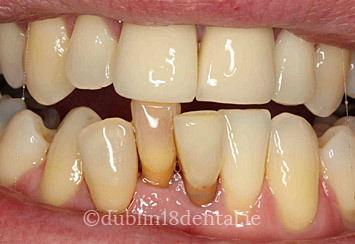 The advantages of the cerec bridge restoration is that they are translucent and will allow light to be transmitted through the bridge - the same way that natural tooth enamel is translucent, therefore they are very natural looking and the cerec porcelain is very hard wearing. However if an extremely long span bridge is required and 4 or more teeth are missing, then it still may be necessary to have a metal base structure for additional strength. A bridge also helps strengthen the teeth and it will make chewing and eating easier because the replacement teeth are fixed and cannot come out. 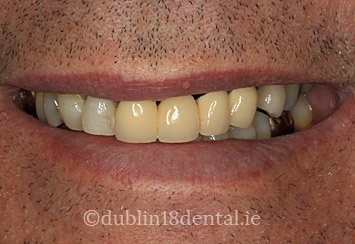 Some bridges can also be anchored with dental implants - if you do not have natural anchor teeth on either side of the gap than dental implant roots can be placed and these can support the bridge. 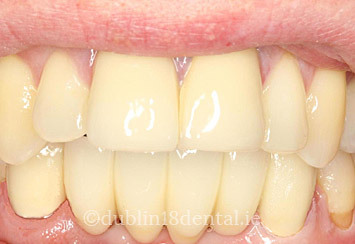 Once you have a bridge fitted it is necessary to take extra care during your daily oral hygiene care to ensure that it remains plaque free and lasts for many many years. 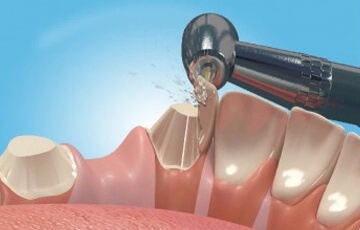 Continuous hygienist visits are necessary for the future health and longevity of your dental bridge. Genevive had missing teeth from birth and by a combination of short-term orthodontic treatment and by the placement of two cerec bridges we were able to restore the teeth in this natural way. I was so surprised with my results. . . . .It has really boosted my self confidence. . . . and all of my friends have commented on how great my teeth look now. . . . . all thanks to Eddie.